Scott was born and raised in Fond duLac, Wisconsin and graduated from the University of Wisconsin - Milwaukee with a degree in Accounting. After graduating, he started his career with PricewaterhouseCoopers. His clients included banks, investment firms and insurance companies, including Northwestern Mutual. In 2002, Scott joined the Northwestern Mutual headquarters in Milwaukee. In October 2007, Scott moved to Virginia and joined The Washington Group as in-house Managing Director for the McLean office. In 2010, he became Managing Director in the Fairfax office. 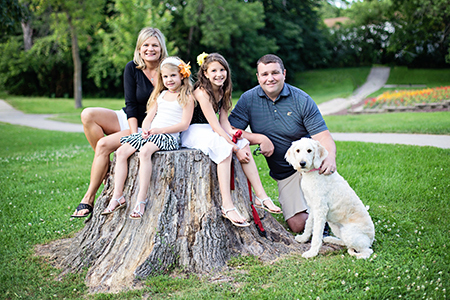 Scott resides in Ashburn, Virginia with his wife, Christy, and two wonderful daughters, Kylie and Cassidy. He enjoys the outdoors; hunting and golfing and is a youth basketball and soccer coach. Scott is a die-hard Green Bay Packers fan. He is also the Treasurer on the Executive Committee of the Ronald McDonald House Charities of Greater Washington, DC.